Thank you … I hope they made you smile! Those acorns look delicious! I’m going to have to try them this weekend. 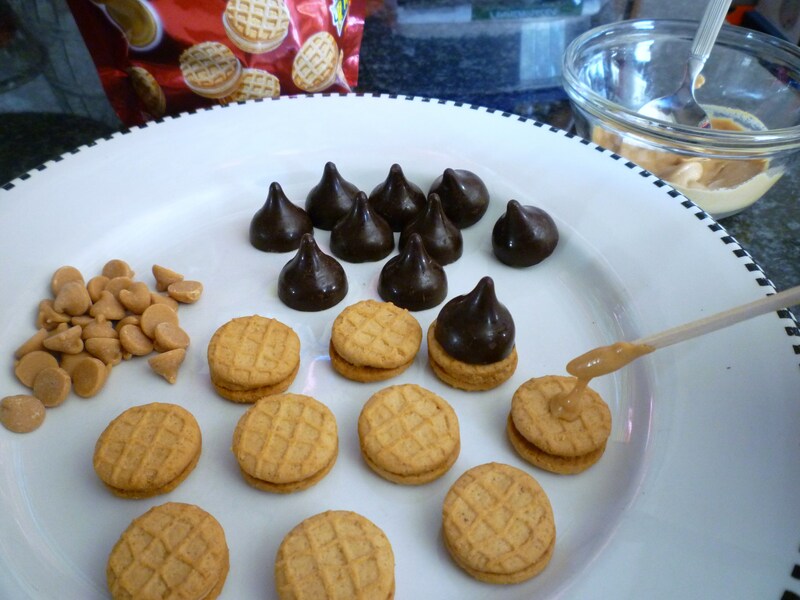 They are so fast and easy to make … plus peanut butter with chocolate! Please don’t tell my Peanut Butter Man … he will expect some too! Hi, these are to cute I can’t wait to try them with the kids. My favorite season is Fall. They are a great kids project … they can even eat the “paste”! 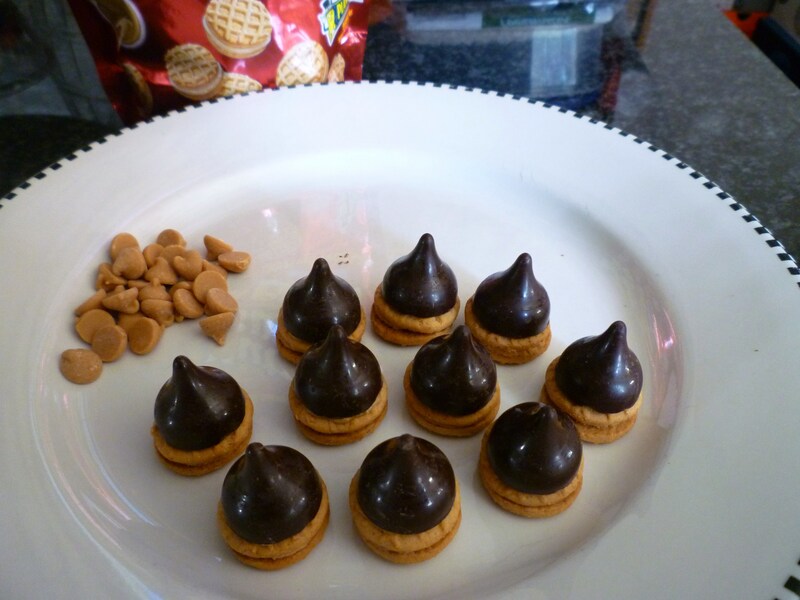 What an easy and simple, yet unique and petite treat ……. I love this! I’m going to “steal” this for my church’s annual Fall Festival on Oct 31 to go along with my mini-cupcakes!!!!!!!! Good idea … great cupcake toppers! What a nice memory! I can see oak trees in my neighbors’ yards, which is the next best thing. Oh! 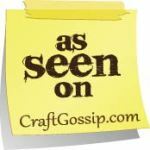 how cute….I love acorns, and have been looking lately at all the creative things you can do with them. I like fall the best, I think…..starting to see pumpkins. The color orange is such a comforting color. And it is a great time of year to bake and burn yummy smelling candles….. Happy Fall Brenda!!! I couldn’t agree with you more! It’s the colors and smells. I agree, the colors are the best! So cute! I think we just found today’s after school snack! Thank you! The kids should be happy! Can’t wait to try yet another PB delight!!! My favorite season is definetly autumn! These doilies are adorable! My favorite season is also fall 🙂 I love the cooler weather and the changing colors! Love the sweet acorns idea! I have a weakness for all things acorn! They are soo easy to make! Fall Fall Fall!!! I live in AZ, and here, fall means the end of blistering summer and the beginning the nice time of year! Hello, BBQ! BTW, love this project. Definitely going in my idea notebook for Thanksgiving this year! I understand about the heat … I live in Southern California! I love these! I love that I came across the acorns treats. I love Fall, it’s my birthday today too! They made me smile and hope I can get the Nutter Butters here in Canada…..If not I will have to have Mom sent some from the States! Good luck with the Nutter Butter hunt! Fall by far is the best time of the year! Leaves changing, holidays are coming soon, football, county fairs in my area, humidity and temperatures fall in Southeast Georgia and I get to bake lots and lots! The acorns are adorable. I can’t wait to make and try them. Thanks for sharing! Yeah for fall! I know what you mean about humidity … we have family in Tennessee and Alabama. Favorite season: Fall, late fall, to be exact. I am a winter person and the anticipation with the visual changes of color and ability to go out and be refreshed ( instead of sweating and tired) is what I look forwarf to every year. Why is it that shopping list just keep getting longer? Living in Texas, I would have to say spring because sometimes we have a little bit of winter “cool” left over before the hot season starts! I agree, spring is a nice time of year! i would say fall cause it is not to hot and not to cold. plus i like seeing the leafes changing colors and falling. There is something special about falling leaves! I agree, it is interesting watching all the changes in nature. Great idea! I have a Halloween Party and I think I will bring these. I also love fall. I love the colors and feeling. I also enjoy the smell of fall, both inside and out. Thanks for the recipe! I think these will be great for a party! I LOVE Fall!! Halloween is my favorite holiday and Thanksgiving is my favorite holiday to cook on!! I’m loving those acorns. I’m gonna have to put some together for a fall tea I’m having. Thanks for the idea and thanks for the chance to win. Great idea for a tea, thank you! I am glad that enjoyed it! I would love to join the giveaway. I love the fall paper doilies. Living in Florida makes me enjoy winter. I have heard that Florida is very nice in the winter! I Loveeeee Fall too. I love making so many fall desserts. I will be making the witch cupcakes that you just showed how to make. There are TOO many desserts that I want to make in the fall! My favorite is SPRING, I can’t wait for it every year! I know you bought these doilies earlier in the year—but WHERE ,so I can look for these cuties next season. I believe I found them at Dollar tree. Hello! 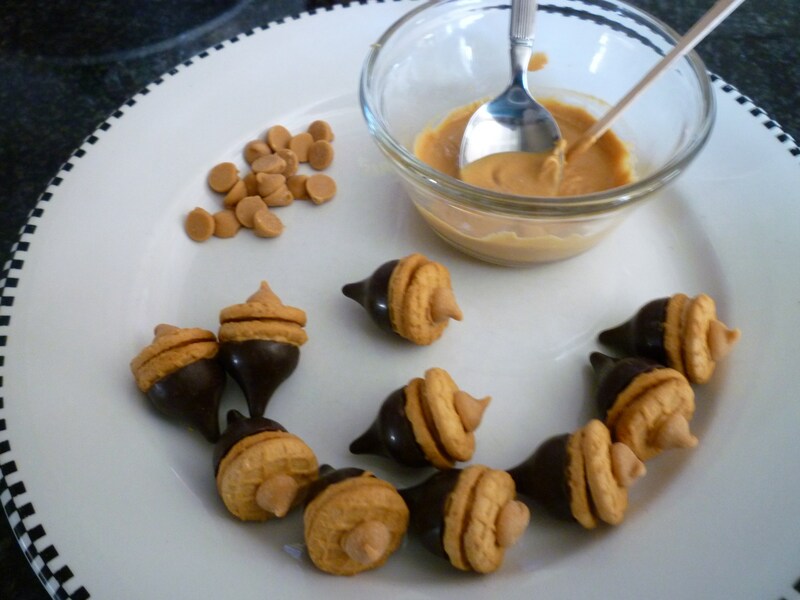 I absolutely love your acorn treats … and dark chocolate with peanut butter is to die for! Autumn has always been my favorite time of year. I love the falling leaves, the smell of fireplaces burning, the crisp air, the Fall Festivals …. who would not love Autumn? 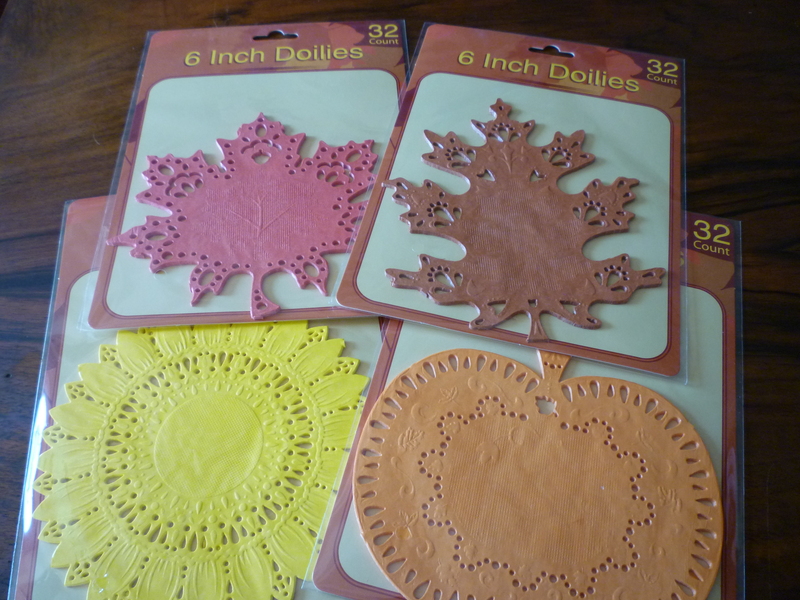 Thank you for the chance to win these great doilies … leaves no less! … what a great idea. You have described fall so well! How adorable and clever these acorns are! You can’t go wrong with chocolate and peanut butter… I would have to go with Fall being my favorite season because of the cool, crisp mornings and windy, sunny afternoons. Autumn colors are so spectacular. 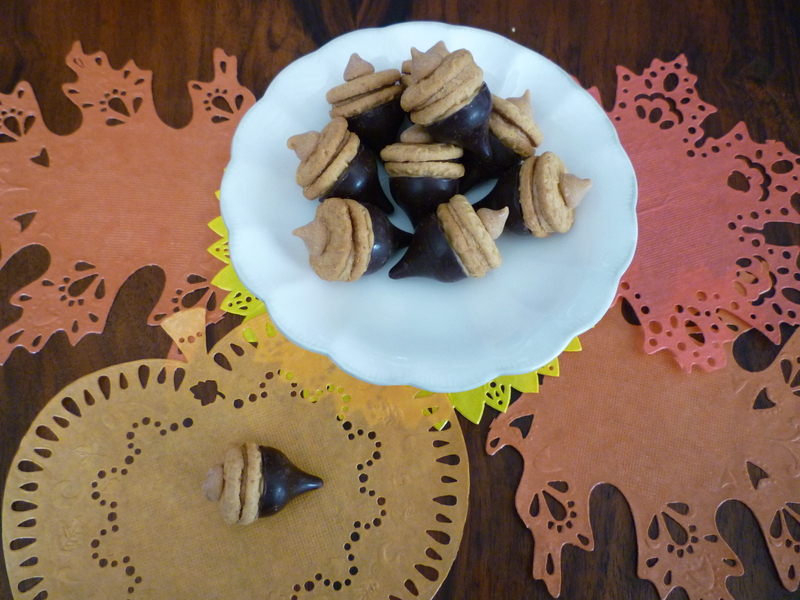 Thank you for sharing your recipe for these and thanks for the opportunity to win those darling doily shapes! 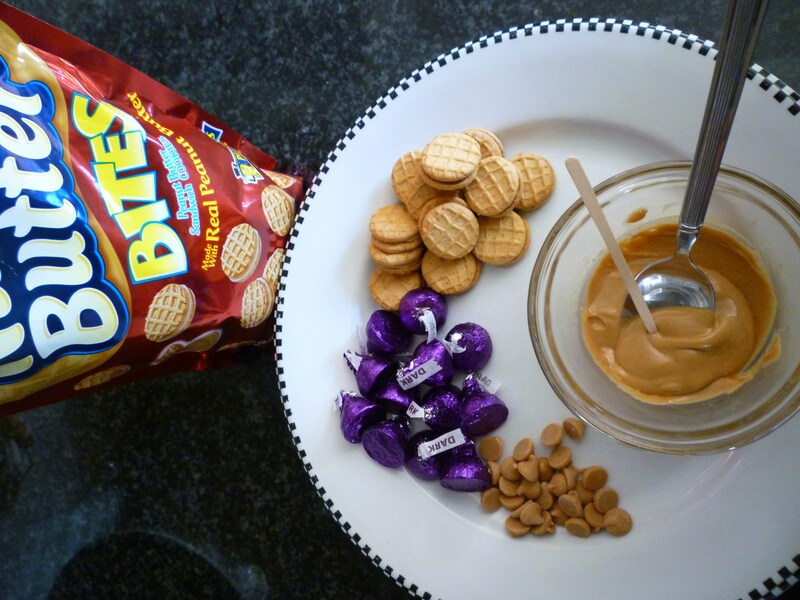 I agree … chocolate and peanut butter are a wonderful combo! So perfect for squirrels. Thank you for visiting. Been on vacation and just got to my emails, these acorns are awesome. Can’t wait to try them. Autumn is a favoite time of the year for me too. Love the colors and the smells that come along with this time of year. Brilliant idea with the acorns! Winter is my favorite seen, you get to layer on the cloths and peel them off as you warm up! 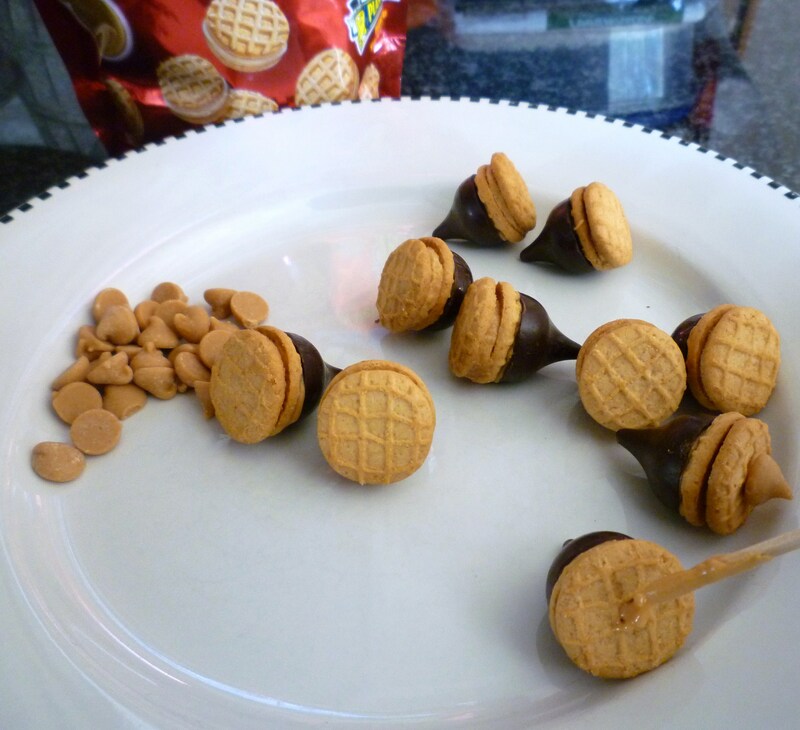 I made your acorns this past weekend for a clambake. What a hit they were! Everyone raved over them and I beamed – knowing I hadn’t baked a thing and had the “best dessert ever!” Thanks for this great idea~!! That is wonderful! Sometimes the simplest things are the best. I am so 🙂 that you found me! Thank you so much 🙂 I just visited your site … you have so many nice things! I just found your site. How cute are these and what a fun giveaway too! Will keep on following you! I am so happy that you found me:) Just want to let you know that the giveaway ended … but there will be another one soon! Really cute doilies and such cute projects! oh my gosh, these are really neat. I wish I had a party to make them for! Your website is great Brenda! You’re so creative!